I have been a Canadian National Team Coach in Tumbling and Double Mini Trampoline for five years and a past artistic competitive gymnast. This facility will express my outlook on the sport and give back to the community what I have experienced as both a competitive athlete and coach. I have a passion for coaching and seeing young athletes experience the many benefits of all levels of Gymnastics, Tumbling and Trampoline. The most important thing in my life is family and gymnastics. Gymnastics has been a part of my life for the last 23 years, 14 years as a tumbling and trampoline competitive coach. I have had athletes attend the 2007, 2009, 2011 World Championships and multiple World Cups. Those athletes are Jeremy Mosier (2007 Double Mini Trampoline) Andrew Egyed (2009 Tumbling) and Jon Schwaiger (2011 Tumbling). I have had numerous Provincial, Western and National Champions. Pegasus Gymnastics is committed to offering great quality and, safe Gymnastics, Tumbling and Trampoline for children and adults of all ages and abilities. In order to measure success, the percent of athletes that return and achieve their goals will show how great the program is. Making Pegasus Gymnastics respected and known around the World. 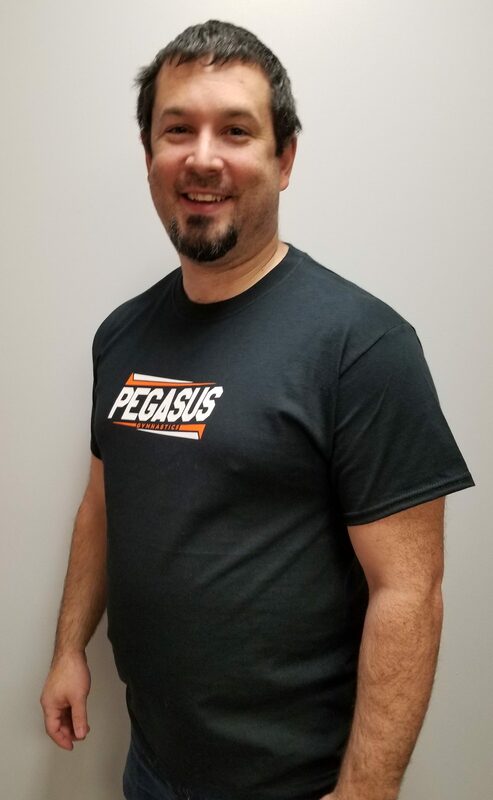 Jeremy was one of Pegasus’ first athletes and co-founders. He was coached by Tammy Stephenson. Jeremy was on the Canadian National Team for 2 years and attended the 2007 World Championships. He has coached athletes at a High Performance level in artistic gymnastics and T&T. He was a coach at the 2013 World University Games (Kazan, Russia). Jeremy has attended 11 National Championships as an athlete and coach. He is certified NCCP Level 3 in trampoline and has his Level 4 Women’s. He is also a NCCP Learning Facilitator and National Level Trampoline Judge. Karen is a Certified Level 4 coach with over 35 years of coaching at the National and International level. She is also an NCCP Coach Developer for C1, C2 and C3 (she trains the coaches). Throughout her career, Karen has developed multiple Provincial, Western Canadian and National champions for both specific events and All Around. She has also worked with multiple athletes earning NCAA Division I scholarships over the past 30 years. Karen has succeeded in multiple international achievements and was named Alberta Gymnastics Federation Coach of the Year in 2014. Kristina is a 22 year old, level 3 certified women’s artistic coach in her 6th year of coaching. Coaching highlights include: sending athletes to several provincial championships and trials to westerns. Athletes attending provincials were provincial champions and multiple top 3 placings.Kristina was also coached by Karen and Jeremy as a p5 gymnast. She attended multiple international meets such as WOGA, and competed at multiple provincial championships, trials to Westerns and Alberta Winter Games. 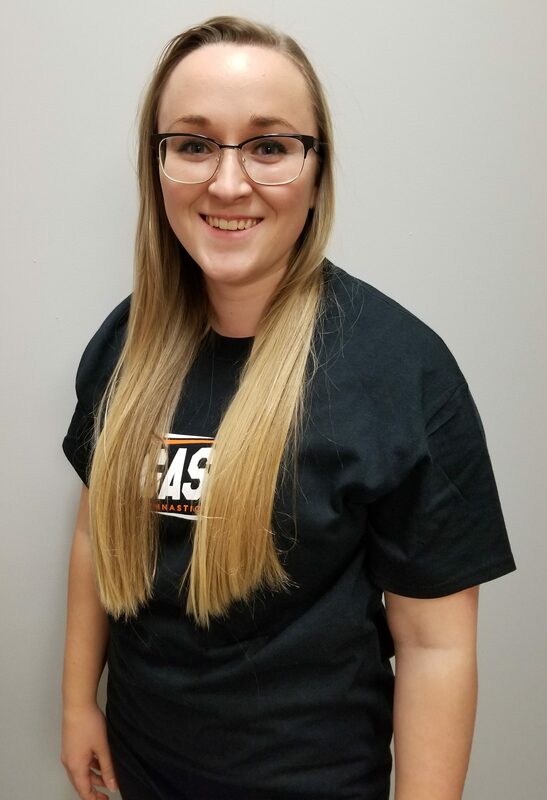 Jodie, a Level 3 Artistic and Level 2 Trampoline certified coach is originally from Regina, Saskatchewan where she trained as a ballet dancer, culminating in an acceptance to the Royal Winnipeg School of Ballet. Jodie began coaching gymnastics around the same time, beginning with young children at the preschool level. 30 years later, Jodie has expanded her coaching experience to include athletes through to the National level, including several Provincial Champions. She has instilled a love for gymnastics in her athletes, many of whom are now coaches themselves. Jodie was Team Manager at Western Canada Summer Games in 2003 and Western Canada Winter Games Team Coach in 2008. 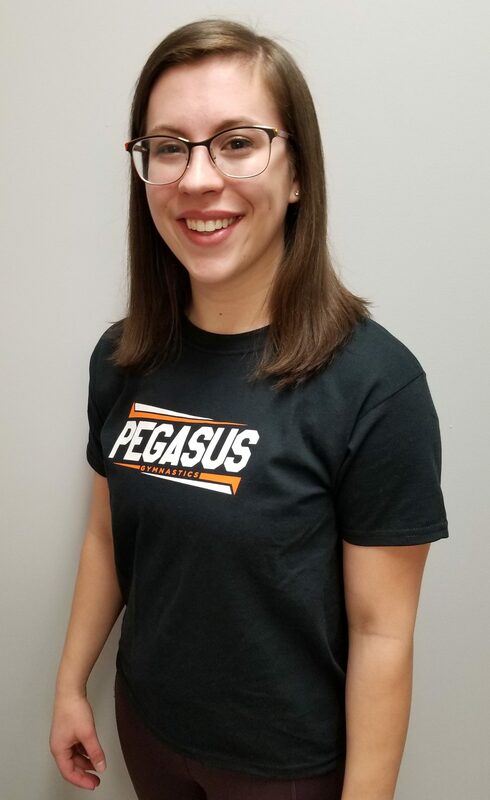 She held a staff position with Gymnastics Saskatchewan as Provincial Education Coordinator, was an NCCP Level 1 Certification Instructor, a member of the Women’s Tech Committee as well as the planning committee for Canadian National Championships in 2007.Jodie has been part of the Pegasus Gymnastics team since 2015 as an integral part of our Pre-Team Program and will be joining the Competitive Team in 2018. In her spare time, Jodie enjoys traveling, painting and spending time with her husband and their two dogs. I have been involved in gymnastics for over 20 years, with 8 years experience as a competitive gymnast; this sport is part of every aspect of my life. I am a fully certified level 3 artistic and trampoline coach, I have a diploma of Social work and a Bachelor’s degree in Psychology. I am currently a competitive gymnastics coach at Pegasus, the Recreational Director, and the Bookings Coordinator; I also am a National Fitness Bodybuilding competitor.I offer private and group lessons for all ages, levels, and learning style. My goal is to pass along my love for the sport to anyone willing to learn. Coaching is my passion, I love seeing people accomplish their goals and being part of that process with them. I hope to work with individuals who are looking to advance themselves within their various sports. I am able to work with individuals from a number of sports backgrounds, which include: gymnastics, dance, acro, skating, fitness, parkour, martial arts, cheerleading, stunting and many more! 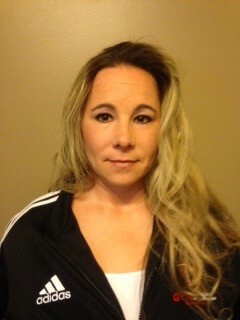 I am a women’s artistic gymnastics coach with over 10 years of competitive coaching experience. I started gymnastics when I was two years old and became a competitive artistic athlete for about 10 years. I also dabbled in Tumbling and University Cheerleading after I was done competing in artistic. I have my NCCP Level 3 Artistic coaching certification and my NCCP Level 3 Trampoline training. 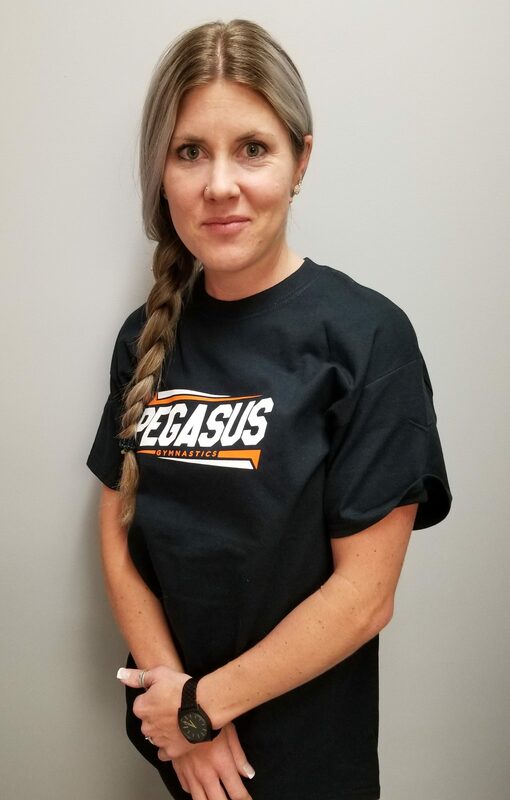 I was most recently running the women’s program in Grande Prairie, Alberta when my husband and I had our first baby girl and decided to make the move to Calgary and Pegasus in the Spring of 2018. Sondra was a national level gymnast who competed internationally and trained alongside two Olympic athletes.She has over 20 years of coaching preschool, recreation and competitive level gymnastics and is an NCCP certified level 3 coach. She works hard and mentors coaches and staff to create well-rounded young athletes at a best-in-class gymnastics club. 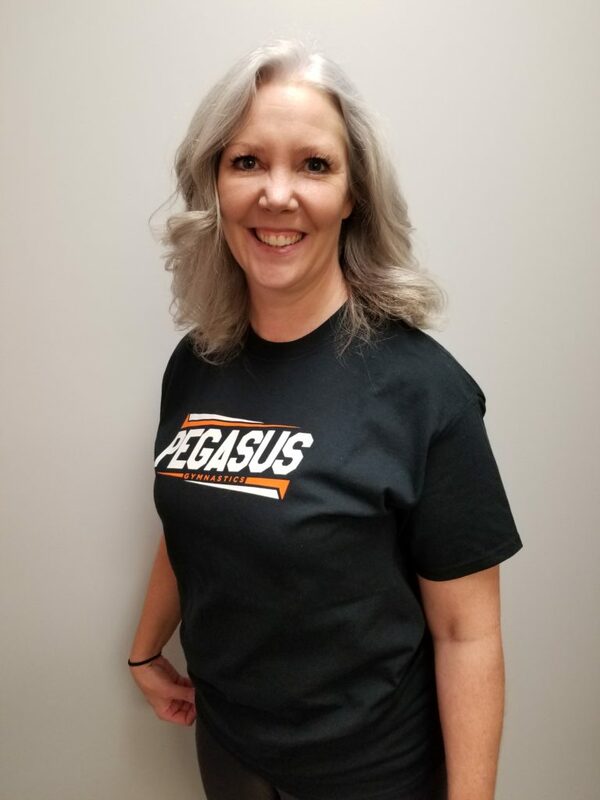 Sondra has developed the program for all Preschool levels of gymnastics at Pegasus and is focussed on creating top athletes.She is a mother of two young children who are both enrolled in gymnastics alongside other extracurricular activities. 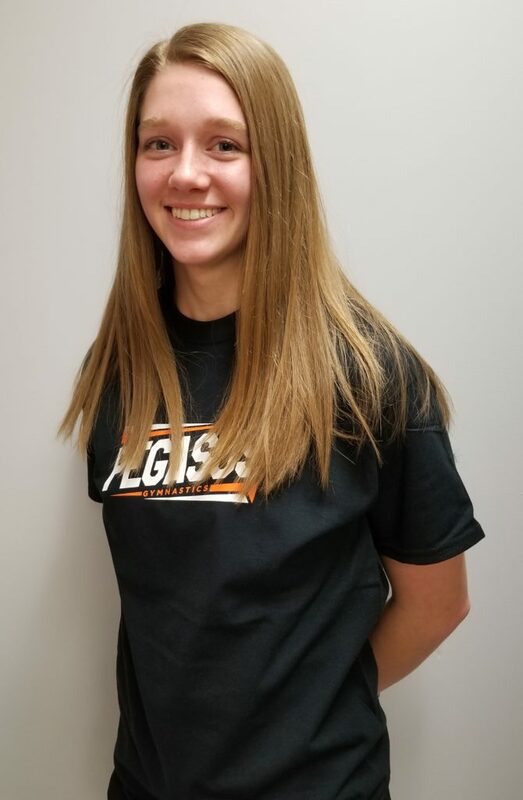 Emily has over five years of coaching experience, working in a variety of programs such as pre-school, kindergym, recreational, interclub and women’s artistic. Though taking a step back from the sport as an athlete at a fairly young age, she found the sport again as a teen- this time as a coach and has been coaching ever since. 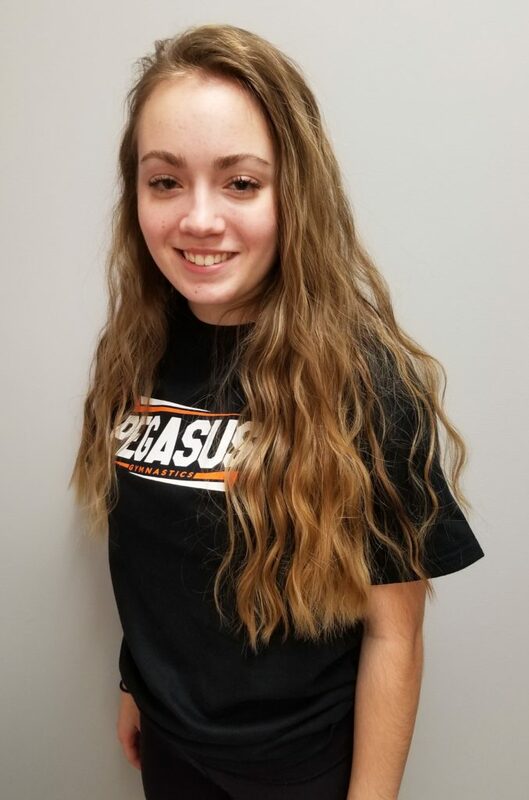 She is entering her second competitive year with Pegasus and is excited to be part of a team that focuses on quality gymnastics and building well-rounded individuals. 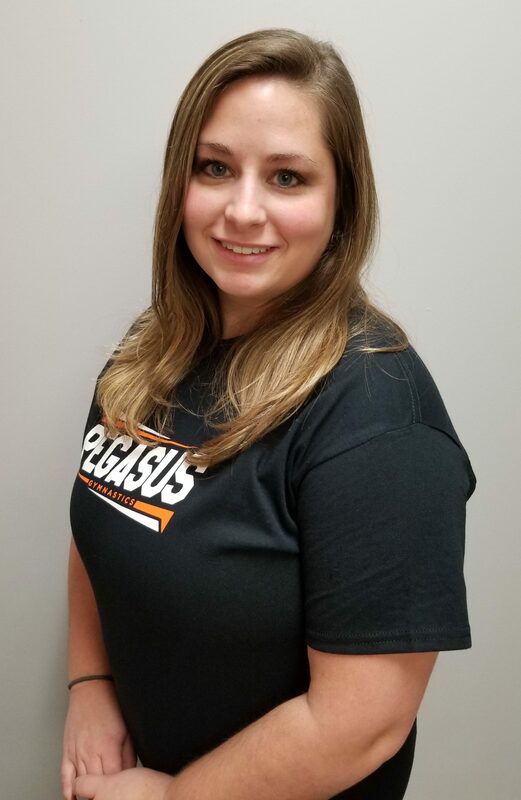 Currently pursuing a degree in kinesiology, Emily is very passionate about injury prevention and sport, which she believes adds to her coaching abilities. T&T COACHSydney is currently one of the competitive tumbling and trampoline coaches at Pegasus Gymnastics. 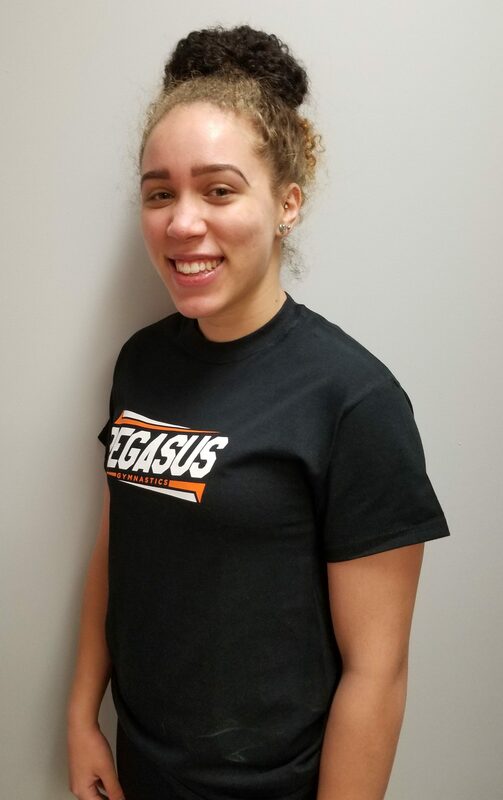 She also works with the pre-competitive artistic athletes and coaches recreation gymnastics.Sydney began her gymnastics career as an artistic gymnast but later transitioned over to T&T where she twice made the Jr National team and in 2014 represented Canada at Worlds in Daytona beach. 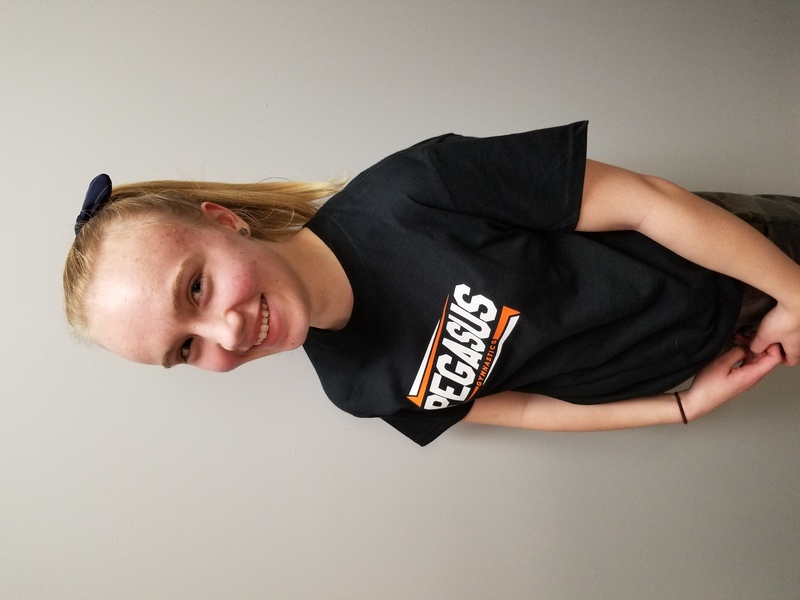 Sydney also qualified for the 2015 Worlds competition however was forced to retire due to injury.Today Sydney shares her expertise and love of gymnastics with all of the Pegasus athletes. She is currently in school and hopes to become a tactical Paramedic. Robert has been a gymnast since he was four years old. He has competed in artistic men’s, trampoline and tumbling, and acrobatics. He has been with Pegasus since the beginning of 2018. As an acrobat, he trained and competed in the mixed pair category with Taya Vliek at the Okanagan gymnastics centre in Kelowna. The partnership claimed gold at every competition they attended, achieving a perfect season.He has been a coach since he was 14 years old and has experience with high level women’s, acro and TNT. 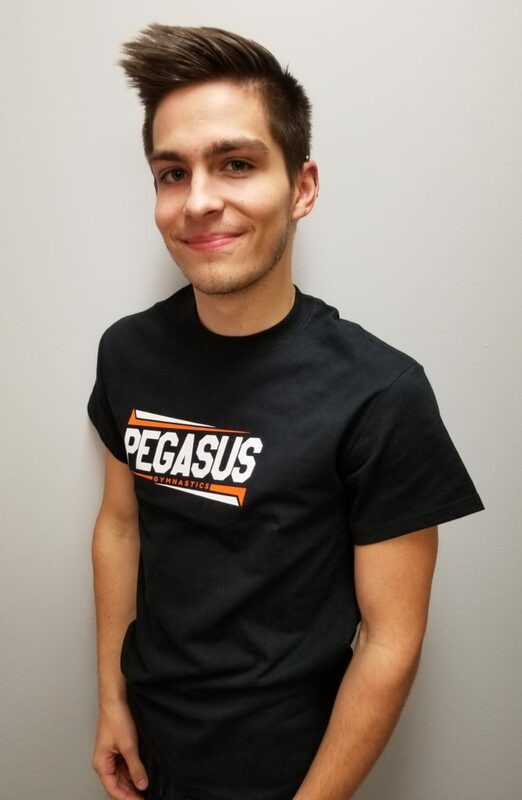 His goal is to create long lasting, versatile athletes, capable of using everything they learn at Pegasus to their advantage for their respective future careers.Asides from gymnastics he has competed in pole vault and was city champion twice in high school. He is taking a degree in health and physical education at Mount Royal University. His educational interests lie in anatomy and biomechanics, as well as sports medicine and biology. Coach Rebecca has been part of the gymnastics world for 10 years and has been actively coaching for almost 8 years. 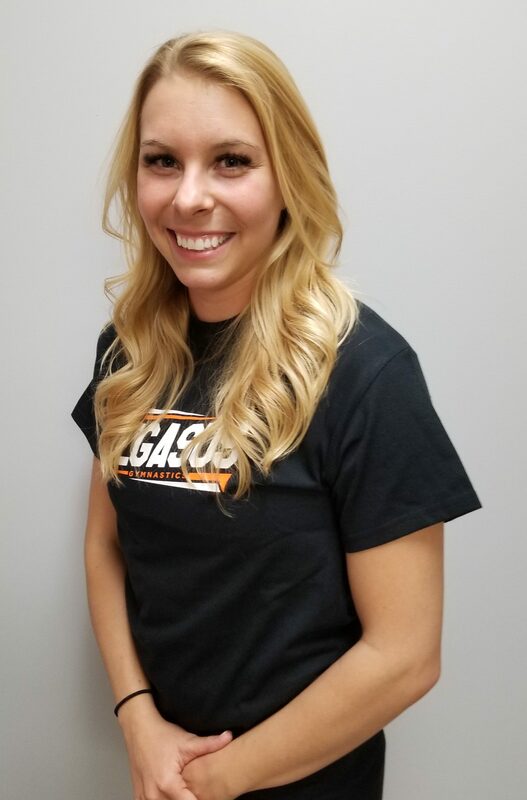 She has experience in coaching competitive, recreational trampoline and tumbling, Women’s Artistic gymnastics and recently coaching Acro gymnastics. 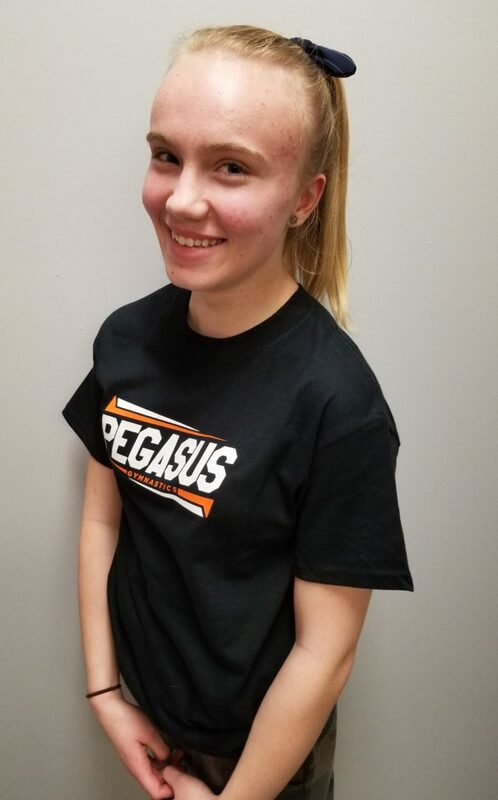 Rebecca has continued to coach preschool gymnastics throughout her career.Rebecca has been an athlete in many sports including gymnastics, equestrian riding, dance and many others.She has been a part of the Pegasus team for almost two years now and looks forward to many more years! I was a competitive Artistic gymnast for 6 years and an Acrobatic gymnast for 3 years, but I have been doing gymnastics since I was a toddler. I was a gymnast in Coach Karen and Jeremy’s group, and have been at Pegasus since it opened. I have been coaching for 2 years and my favourite event to coach is bars. My favourite skill is giants. I also coach and compete in Track and Field. 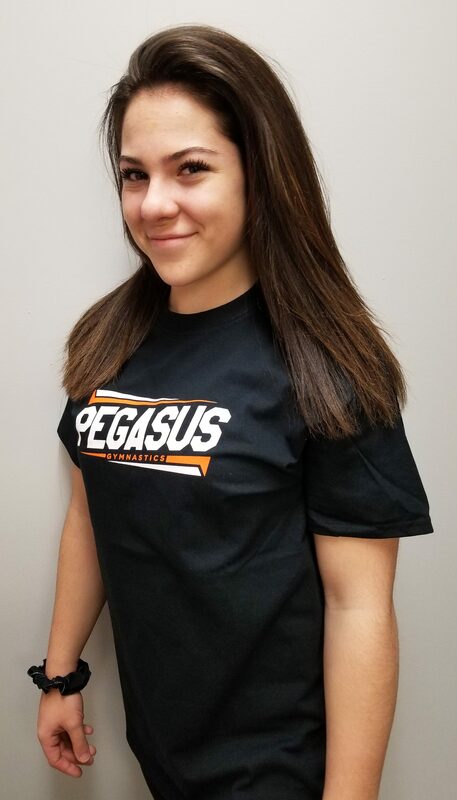 Julianna has been working as a recreational and preschool coach with Pegasus for over 2 years. She is a former level 10 gymnast who trained with Pegasus and attained Provincial/National achievements. Over 6 years of gymnastics experience. RECREATION COACHI have been involved in gymnastics for the last 10 years of my life, 7 of which were spent as a competitive athlete in the Trampoline and Tumbling program. I absolutely love gymnastics, and I am actually hoping to continue training as an athlete starting in the summer. 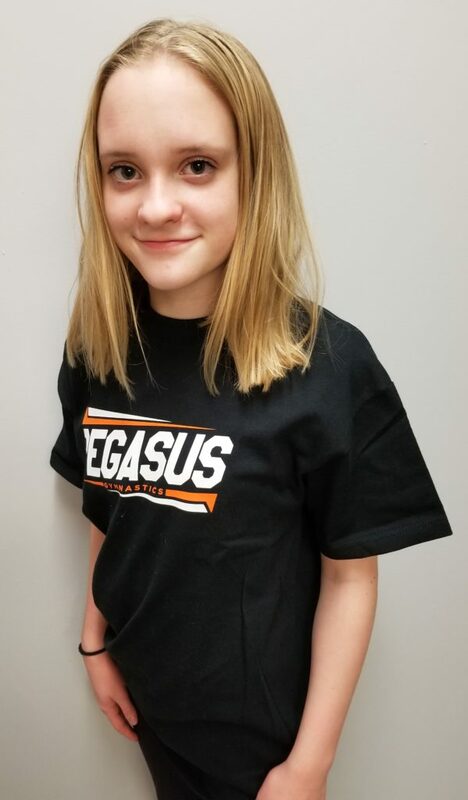 I have been coaching at Pegasus for about a year and half, and I have spent a total of two and a half years as a coach. I am a level 1 qualified artistic coach, and I have my level 2 qualifications for coaching T&T. At Pegasus, I coach both recreational level athletes and the pre-competitive kids in the T&T program. I also recently took my first judging course and I am hoping to sit on a panel in the coming year. Gymnastics is a big part of my life and I am looking forward to continuing to pass on my passion for it through coaching. 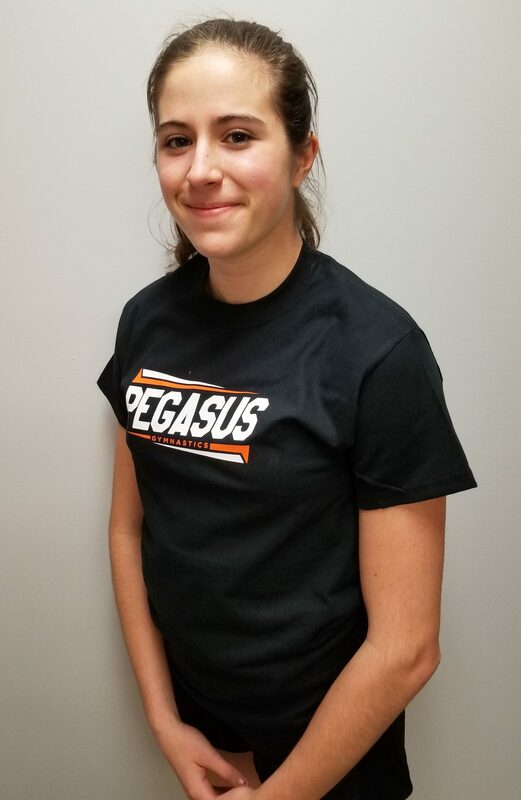 Evalyn started as a Coach in Training this year with Pegasus Gymnastics and loves to share her love of the sport as well as work with the young gymnasts that come here to learn. 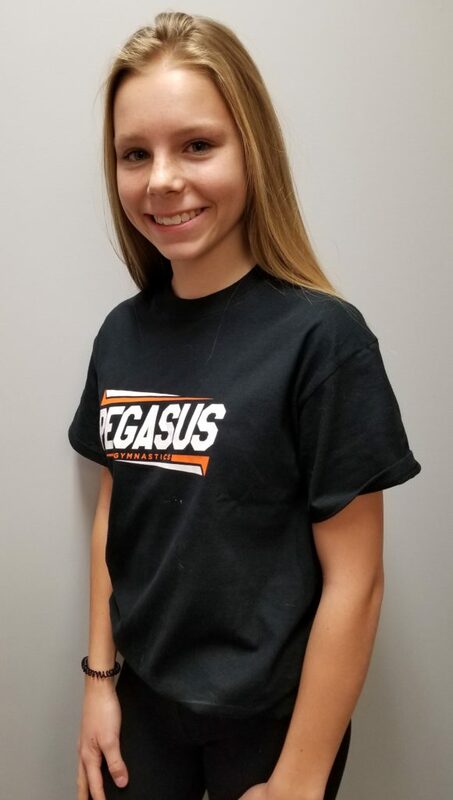 She is a great mentor for other athletes.Evalyn is currently training as a High Performance Junior athlete at Pegasus Gymnastics. 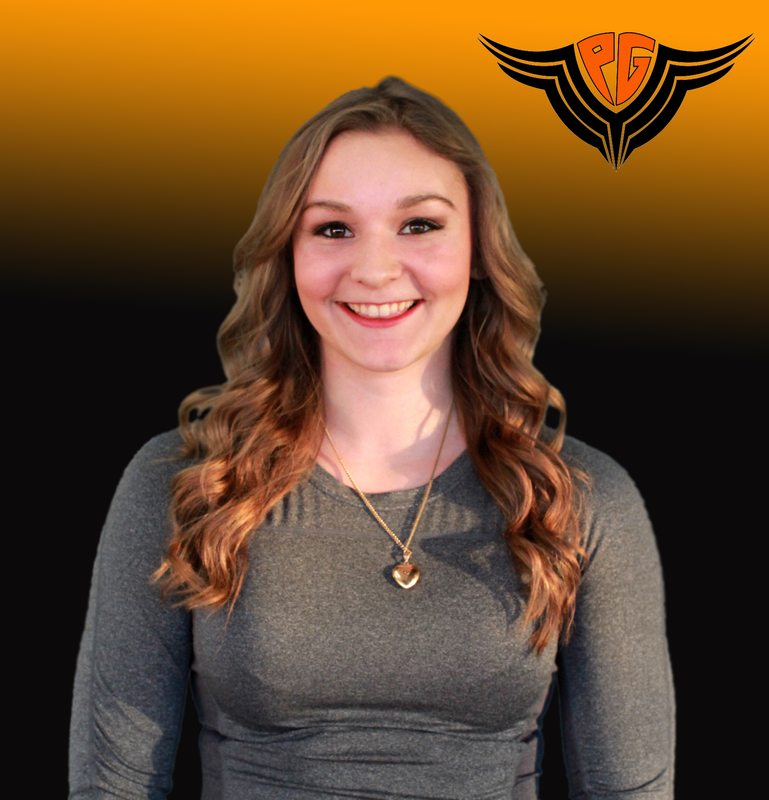 Due to injury, she is working on recovery this year and plans to return to make HP Senior upon her return.Evalyn started gymnastics when she was 6 years old and has made many accomplishments throughout her career including Provincial and Western champion as well as National Vault Champion in 2016. 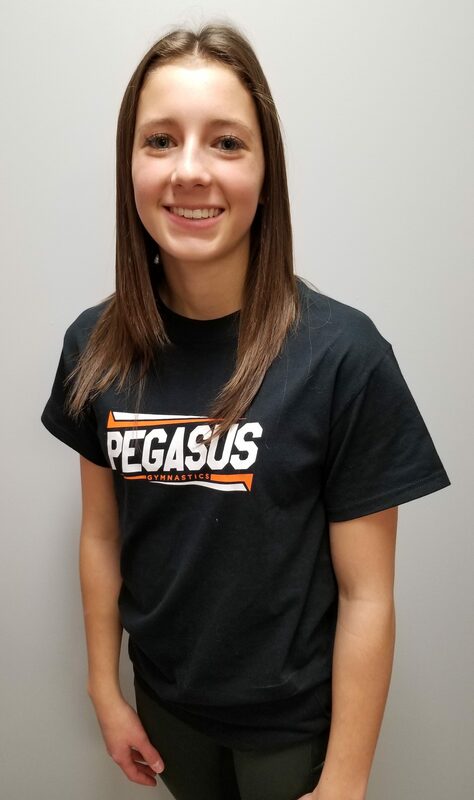 She has trained with only 3 coaches throughout her competitive career, Sondra Mckay, Karen Haverstock and Jeremy Mosier all of which are coaches at Pegasus today. Evalyn aspires to make Team Canada in artistic gymnastics within the next 3 years.